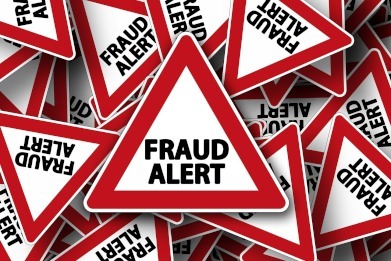 A research report from a big four accounting firm has found that fraud is on the rise across Asia-Pacific, and has called on accountants to exercise scepticism around their own firms as well as their clients' businesses. Last week EY released its Asia-Pacific (APAC) Fraud Survey 2017, revealing that despite wanting to work for ethical organisations, 17 per cent of respondents believe it is justified to deliberately misstate a company’s financial performance to meet financial targets. A further 20 per cent of respondents believe it is justified to amend financial reports to provide a more positive outlook on results. EY Oceania managing partner, fraud investigation and dispute services, Rob Locke said these statistics are troubling. “What’s most concerning for Australian business is the overwhelming belief that achieving economic targets trumps the need for ethical behaviour,” he said. Speaking to Accountants Daily, Mr Locke said that accountants should constantly be reflecting on their own firm and ensuring that aspects of fraud or bribery are not present. “Accountants should always exercise a healthy level of scepticism, always follow the cash and exercise the ‘Tell Me/Show Me’ philosophy when undertaking enquiries,” he said. Mr Locke also said that accountants have a duty to scrutinise their clients' businesses and ensure no fraudulent behaviour or practices are present. “Satisfy yourself that the underlying parties to a transaction are who they claim they are and that payments are actually going to where they are claimed to be going and not being hidden through fictitious or erroneous accounting entries, master file data or corrupted payment processes,” he said. Mr Locke recommended looking periodically at payroll and vendor master files for signs of manipulation and unauthorised or improper changes, and checking the quality of the journal entries and that those who are making these entries are authorised to do so. Further he suggested looking for abuse of delegations, split invoices and transaction patterns suggestive of potential control circumvention.